Model Based Definition enables the production of a complete digital definition of a product within a 3D model, thus replacing a traditional drawing. By empowering the model as the single source of truth product teams are able to save valuable time by incorporating product and process information and ensure that intent is completely captured and associated to the model. 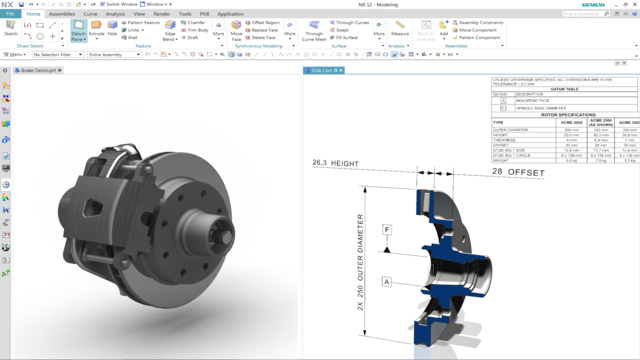 Compared to drawing-centric workflows, NX reduces the time spent on engineering documentation, drives downstream tools for validation and manufacturing, and reduces late changes and scrap. With one source of dimensional and tolerance information, there’s no need to worry about drawings and models not agreeing with each other. In addition, annotated 3D models are easier to understand than complex drawings, reducing training needs and the chance for errors. Model Based Definition is made up of powerful features that allow you to build a custom solution. Read more about these features below. Not every project begins with a clean sheet. Convert to PMI automatically converts drawing views and objects to corresponding model views and PMI objects saving tremendous time when leveraging legacy data. 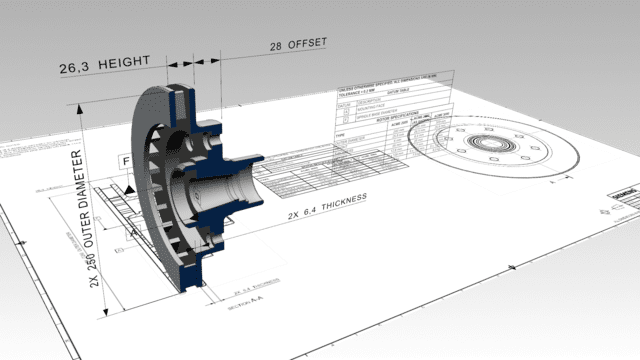 With Convert to PMI, you can use legacy drawings to add intelligence to 3D models quickly and easily. Convert to PMI is highly customizable with options to convert entire drawings or individual sheets, views and annotation objects. A conversion report provides a detailed summary results. Convert to PMI enables support for processes based on 3D models with much lower cost and higher quality of data. People are familiar with 2D drawings and use them as a means of defining a finished product. 2D drawings contain standard symbology that is universally understood and interpreted. However, in some cases, the existence of multiple, redundant data required to define a manufactured part can lead to deviations in the final 3D form. Interpretation errors, duplication errors or revision inconsistencies can contribute to costly mistakes that quickly translate into lower quality and productivity. The use of 2D drawings for the purpose of communicating downstream production requirements adds an unnecessary burden to the product development cycle. 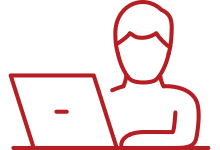 A simple change in the product definition not only requires updated 3D digital data, but also necessitates numerous engineering changes to all 2D documentation associated with the product. 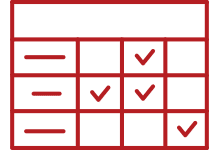 Since it takes time to maintain this documentation, the lifecycle for implementing a product change grows with the extent of its associated 2D data. 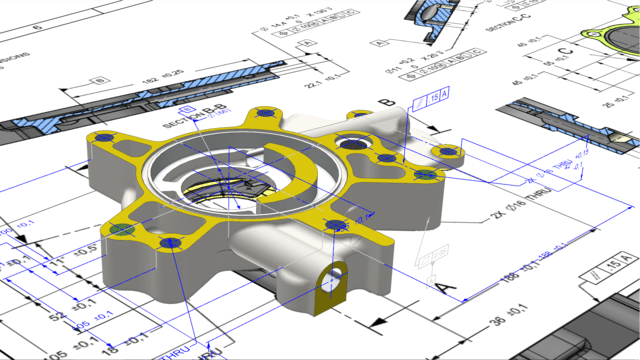 Product teams can capture and share engineering requirements within the 3D model, thereby permitting full utilization of the design intent, eliminating the need for 2D drawings and ensuring that the final product complies with its engineering specifications.